iPhone 6 plus screen replacement. This repair will replace the top glass only. Includes 90 day warranty on parts and labor. ​​***LCD AND TOUCH MUST BE IN PERFECT WORKING ORDER WITH NO LINES, BLACK SPOTS, YELLOW SPOTS OR SCREEN NOT RESPONDING TO TOUCH. SCREEN MUST BE AN ORIGINAL OEM APPLE SCREEN WE CANNOT REPLACE TOP GLASS ON AFTERMARKET SCREENS. IF YOU HAVE ANY OF THESE ISSUES YOU WILL NEED THE LCD REPAIR BELOW. This is the repair you will need if the picture on your phone is no longer working properly. It will replace both the glass and LCD. Is your iPhone 6 Plus not charging, connecting to your computer or only working intermittently? Fixed in just 45 minutes. iPhone 6 plus not holding a charge for very long? Battery dying to quick? We got you covered. Have it fixed in about 45 minutes. Did your home button stop working on your iPhone 6 plus. We can fix it same day but please call about details for this repair. 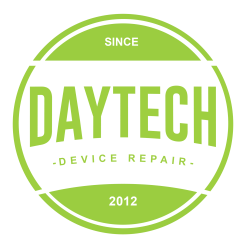 We fix iPhone 6 plus cracked glass and broken lcds while you wait. We have 2 stores to fix all your iPhone 6 plus issues from broken screens to bad batteries. One store is located in Hiram, GA off hwy 92 and our newest location is in Acworth of Cedar Crest.